Ed Wray/Getty ImagesSearch and rescue workers move the remains of a victim of the Lion Air flight JT 610 into a waiting ambulance at the Tanjung Priok port on October 29, 2018 in Jakarta, Indonesia. Since a Garuda Airways 737-400 left the runway in March 2007, killing one of the seven crew members and 20 passengers, Indonesia has made “enormous strides,” an aviation expert says. When a Lion Air flight fell out of the sky off the coast of Java on Monday, a new chapter began in Indonesia’s troubled history of aviation disasters. 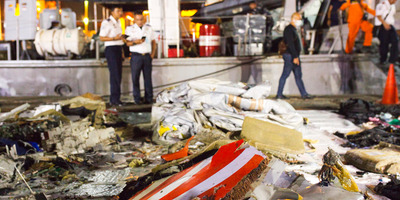 Wreckage was located near where the plane lost contact with air-traffic officials, Muhmmad Syaugi, the head of Indonesia’s search and rescue agency, BASARNAS, told media. Geoffrey Thomas, aviation expert and editor-in-chief of AirlineRatings.com, said the accident was an “epiphany” for Indonesia’s national carrier and a turning point for Indonesia. “Everything had to change and everything did,” Thomas said. Its national carrier invested in, and updated, its fleet, streamlined its operations and within a hectic decade has re-emerged as a “model” breaking back into the US and European markets as authorities from both exacting regulatory bodies lifted their bans on the airline. If it’s tough getting back into shark-infested waters, then the collective fear that takes hold following blanket coverage of aviation disasters can be even harder to shake. Which goes some way to explaining the reflex damnation that Indonesia’s reviving air industry and Lion Air have endured these last days. “We have to be careful not to judge Lion Air too harshly. Lion Air Group has over 300 aircraft and they fly to and from hundreds and hundreds of destinations across Indonesia and their record in recent times is pretty good,” Thomas said. According to Airline Ratings at the end of 2015, Indonesia’s disaster-ridden industry had more airlines with the lowest safety ranking than any other country in the world, including Nepal. “You don’t want to be flying in Nepal,” Thomas told Business Insider. AirlineRatings.com regularly measures 407 of the world’s major airlines, giving each a safety score out of seven. In a clear nod to Indonesia’s improving behaviours, the US Department of Transportation’s Federal Aviation Administration (FAA) announced that it also upgraded the country’s air safety rating, paving the way for carriers to fly to America. “So Indonesian aviation, notwithstanding this accident, is probably in the best state it’s ever been,” Thomas says. Ed Wray/Getty ImagesWreckage from Lion Air flight JT 610 lies at the Tanjung Priok port on October 29, 2018 in Jakarta, Indonesia. Lion Air Flight JT 610 crashed shortly after take-off with no sign so far of survivors among the 189 people on board the plane. Put simply, a pitot-static system is a system of pressure-sensitive instruments that are used in aviation to determine an aircraft’s airspeed, altitude, and altitude trend. The pitot tube performs like cruise control on a car, if its set to 100 and you’re only on 80 it will speed the car up to get to what it calculates is the right speed. Shortly after passing the ADS-B reported altitude of 2100 feet, data points briefly show a lower altitude of around 1475 feet,” FlighRadar24 reported. According to Aviation-Safety.net, the previous flight of the accident aircraft, then identified as JT043 from Denpasar, Bali, had displayed similar “erratic values” in altitude and airspeed after take-off, which stabilised 8 minutes later. 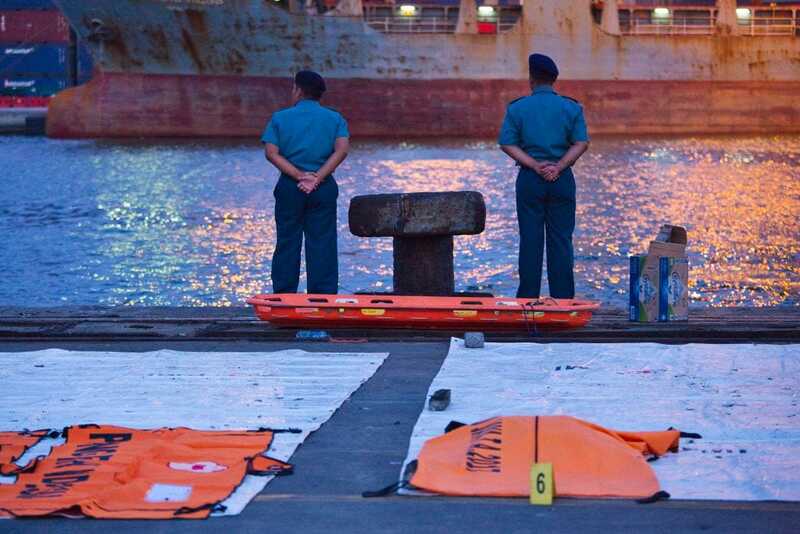 Ed Wray/Getty ImagesPolicemen wait fo help tie up a navy ship bringing further wreckage of Lion Air flight JT 610 at the Tanjung Priok port on October 29, 2018 in Jakarta, Indonesia. Lion Air Flight JT 610 crashed shortly after take-off with no sign so far of survivors among the 189 people on board the plane. How much is being invested in personnel and resources when, speaking to the Jakarta Post at the end of last year, Indonesia’s Transportation Ministry airport director Bintang Hidayat said the number of air passengers would climb by almost 30% to 140 million in 2018, much higher than previously expected. According to data from the Centre for Aviation domestic air travel accounts for nearly 75% of total passenger traffic, yet at the same time, Indonesia has emerged as a huge tourist destination, with visitor numbers increasing by 21% last year as China has become Indonesia’s largest source market. If growth once again outstrips oversight, Indonesia’s not-too-distant dark past and the new, terrible images that sink and rest at the bottom of popular imagination will not be far away.